QUALITY: We’re sticking with the compact format because ultimately, what are you hear for? FANTASY LEAGUE STATS! So we’re going to be giving you some quality quick hits and a general overview of the show and then jumping RIGHT into the numbers. For a more in-depth breakdown of the happenings from some quality personalities? LISTEN TO THE PODCAST! Subscribe to us on iTUNES! QUALITY: Seriously, are you listening to Deep Thoughts on SNL? You should. You really should. Rob and his cast of co-horts, Matt, Brian, Leah, and sometimes myself, Russel Harder (with the bow-tie and a smile), are big fans of quality comedy! PROBLEMATIC: Listening to the great interview that Bobby Moynihan had with Andy Greenwald, I am legitimately worried about the health of Mr. Moynihan. He was an ACE in the Fantasy League earlier this year, and has dropped off ever since the Rob Ford sketch. BOBBY take care of yourself! I want you to be on SNL for as forever as you would like! QUALITY: Louis C.K. as host, and the general writing of the show, was in the Top 3 with Drake and Jimmy Fallon, if not the best of the season so far! This is the Fantasy League approved opinion as well. The adventurous and fearless style of C.K.’s comedy certainly had something to do with both the wonderful (Black Jeopardy) and wonderfully weird (Pah-Ja-Mas) of the night. The only thing that suffered? Weekend Update. Though that’s just as much Jost still needing the rest of the this season to get into game shape, as it was Louis’s opening monologue taking a good five minutes or so from the show that Update might have otherwise used. PROBLEMATIC: Tying a few things together, Moynihan brings up a very good point with the fact that Weekend Update is much like stand-up comedy. For the interviewees and for the hosts that interview them as well. That’s why Sandler and Fallon shone, why Norm was so good and why Colin Quinn wasn’t. And it’s why Jost is still a ways away from being a good Weekend Update host. MUSICAL GUEST - Sam Smith - SONGS: No songs chosen. The Million Dollar Bill Murrays expand their lead, due to the solid core of the roster that makes up for the second quiet week in a row for Bobby Moynihan. Kyle Mooney continues to prove wonderfully unpredictable and surprisingly able as an impressionist (the Pope?! ), while Beck Bennett has nailed down his first classic character with Baby Boss, a perfect mix of strange physicality and his commanding voice. Mihiser continues his quiet end to March, inevitably being the left out cast member in this the biggest cast of the show’s history. Thanks in part to Mihiser’s second quiet week, the Ignorant Sluts are STILL in second and our current third-place team The Team You Wish… seems to be gaining some ground. It looks like, with four to five episodes remaining in the season, either the Ignorant Sluts or The Team You Wish… (or with an outside chance, Reclusive Peninsula) will have to have one or more of their host prediction’s come through to take home the Phil Hartman Trophy. Though seriously, I want it, it’s a thing of beauty. On the topic of hosts, the next TWO weeks of show have been announced! Dan Akroyd Rage has the ability to jump into at LEAST fifth place with his host pick Anna Kendrick hosting on the April 5th episode. This also gives me a chance to end an Anna Kendrick drought on the Trivia Club blog, that’s been a thing since the second edition of Ask Trivia Club! The week after that, on April 12th is host Seth Rogen! Picked by no one, sure, but most assuredly enjoyed by everyone! QUALITY: Trivia Club Radio is now on iTunes! 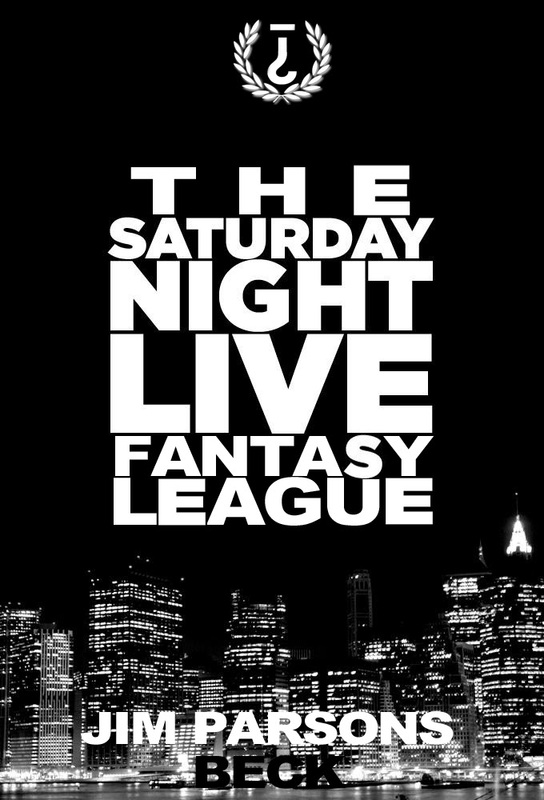 This means you, yes you, can SUBSCRIBE to Deep Thoughts on SNL along with our full schedule of wonderful podcast funnery. Enjoy! Rating the podcasts, and leaving loving comments helps HUGE so thanks to you in advance! PROBLEMATIC: It’s okay; I didn’t need any free time. 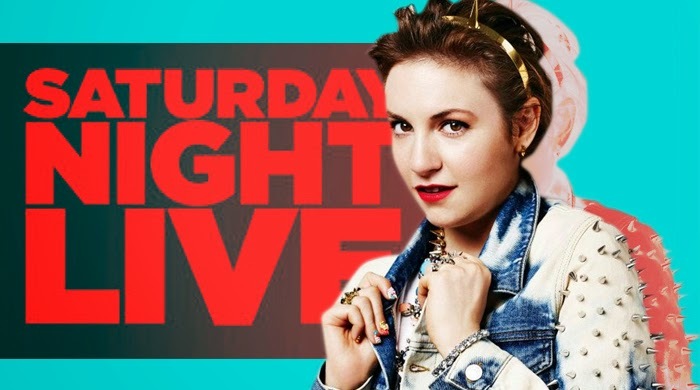 QUALITY: Overall I enjoyed the show, Dunham was an able host especially when the sketch played to her strengths. Be they a fan of television (Scandal) or being gifted at awkward comedy (Oooh Child). They show fell apart closer to the end, but that's why we have garbage time, ladies and gents. So yes, certainly a quality passing grade, from the SNL P's and Q's. MUSICAL GUEST - The National - SONGS: No songs chosen. LISTEN TO THE PODCAST! Have you heard about it, we’re doing a podcast for the SNL Fantasy League now! And by we I mean championed by, and hosted by, the wonderful Rob Moden, alongside Matt Smith and Leah Sueko (and sometimes Brian Edwards). I will be popping in from time-to-time, but Trivia Club’s is a growing empire and I trust Rob, Brian, and Leah, so enjoy your time with THEM most of all. It was a strong night tonight for a number of cast members, chief amoung them was Taran Killem and his fifteen impersonations on the night, chief among them a marvelous Matthew McConaneghay! Jay Pharoah also had a strong night on the push of a Liam Neeson-guested cold open. Brooks Wheelan and Mike O'Brien (his second strong show, in terms of sketch appearances) also had near career nights up to this point. A word on John Mihiser, he comes the first cast member to be shut out completely, not even getting the chance to fill in as an NPC in a sketch. With something close to five shows left in the season, one has to think that doesn't bode well for his return next season within this giant cast of comedians. SPEAKING of comedians, the next host has been announced! In THREE WEEKS, Louis C.K. will be taking the reigns (with a musical guest yet to be announced), making this his second time hosting in as many years. This almost makes the second host as a group, predicted correctly, which almost matches our run of prognostication leading up to the Christmas show. I quite enjoyed the last time Louis hosted, so I'm excited to see what he brings to the table again. Also, I'm biased, because he was a host that I chose for the Million Dollar Bill Murrays. ... with musical guest, Louis CK! 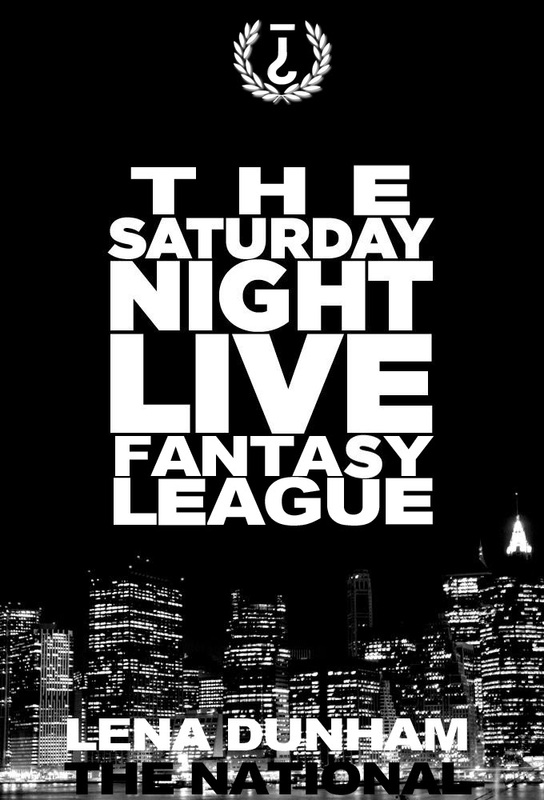 QUALITY: The P’s and Q’s will be shortened this week, as we get back into the groove of SNL, but in return enjoy the podcast! Enjoy. PROBLEMATIC: Just how much I agree with the A.V. Club on this manner. "While I’ve been joking for years that Jim Parsons is stealing Danny Pudi’s Emmys (I still think that), there’s no denying that he’s reliably amusing playing a similarly mannered “on the spectrum” character on The Big Bang Theory." QUALITY: Just because you’re Head Writer doesn’t mean you aren’t Featured Cast. Welcome aboard Colin Jost! QUALITY: Also, an interesting read on Beck. I enjoyed the mood he brought tonight, and there was definitely a mood. PROBLEMATIC: Great commentary on the importance of a Weekend Update on equal footing, in the 21st century. Thanks Hannah! A strong Update to start things off for Strong and Jost. And did you see that card trick?! Also, holy production! QUALITY: And though this may be a truncated P’s and Q’s, where does Parsons fall on the unofficial season 39 Host Power Rankings? Though he isn’t going to over take Drake or Fallon, I would put him right below Paul Rudd and above our last two hosts in Melissa McCarthy and Jonah Hill. It was overall quite a strong episode, with Jim Parsons proving an open and able host in both live and pre-taped segments (he even became only maybe the third or forth host this season to slip into the cold open, not bad for a first-timer). MUSICAL GUEST - Beck - SONGS: No songs selected. It was strongly hosted show this week, and I mean that in two ways. One, I enjoy Parsons for him limited skill-set (or seemingly, it's just separate the man from the character) and two, they certainly featured Jim in a LOT of sketches throughout the night. Maybe the most this season, other then McCarthy or Drake. Though it is true (see: Quotes), as well, that if they can write this kind of material for Parsons, then Milhiser has a strong future potentially. Kate McKinnon had a welcome strong showing (especially for The Ignorant Sluts and The Team You Wish...) and Mike O'Brien, in terms of featured cast, had his strongest show to date. It's excellent to see them give O'Brien more rope on live sketches. He earned that kiss at he goodnights! And Aidy Bryant may have gotten only one sketch but it was a blue-chipper, as there's nothing she can't make wildly entertaining with throw away gestures and inflection. See you NEXT WEEK, wow it's been a while since I've said that... the month really took a lot out of me. Yes, next week, for Lena Dunham's first go at hosting SNL! Things will be cordial, and critics will be constructive because the internet? HAHAHA, no but seriously, this will at least be a safe place for Lena Dunham's SNL show. I make no promises about the podcast, however. Oh, and WELL DONE Kevin, on the host pick. Certainly our best prognostication so far. And they said Noel Wells was as close as we were gonna get!